WASHINGTON (AP) — In a story Nov. 6 about the re-election of Iowa Rep. Steve King, The Associated Press reported erroneously that Purina Pet Care was a subsidiary of Land O'Lakes. Nestle Purina Pet Care is a subsidiary of Nestle SA. 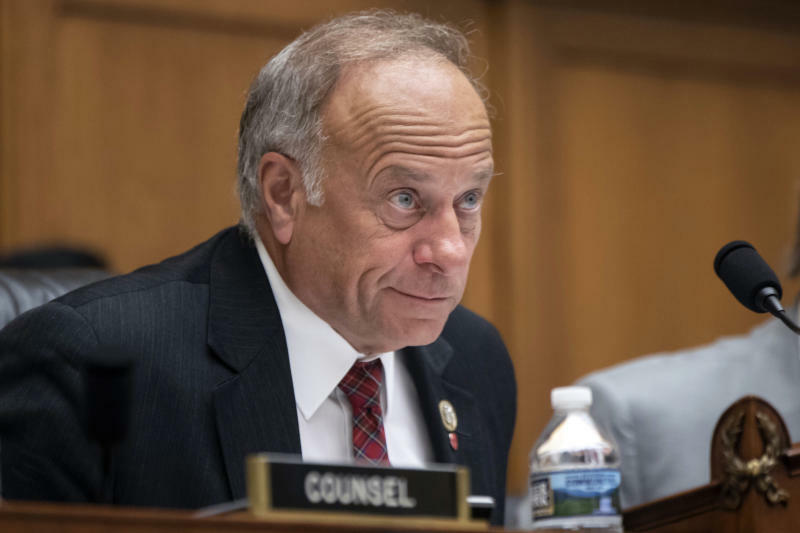 WASHINGTON (AP) — Republican congressman Steve King won a ninth term representing Iowa despite condemnation from his own party over his support of white supremacist groups and leaders. King on Tuesday defeated Democratic newcomer J.D. Scholten, a former minor league baseball player who raised more money and spent months crisscrossing the 39-county district. President Donald Trump won the Republican-heavy district by 27 percentage points in 2016, but King faced a competitive challenge from Scholten. King had long tested the limits of the Republican Party's tolerance for fringe views, notably his harsh anti-immigration rhetoric. On Oct. 27, the day a gunman who had raged against Jews killed 11 people at a Pittsburgh synagogue, King defended the groups he had associated with, including Austria's Freedom Party, which was founded by former Nazis. In recent days, National Republican Congressional Committee Chairman Steve Stivers decried King's comments, saying, "We must stand up against white supremacy and hate in all forms." Several King financial backers withdrew their support, including Intel, Land O'Lakes and Nestle SA and its subsidiary Nestle Purina Pet Care. King maintained his hard-line views on immigration and support of gun rights were in step with the conservative district. He kept a low profile in the days before the election but denounced the attacks against him as "orchestrated by the nasty, desperate and dishonest fake news."